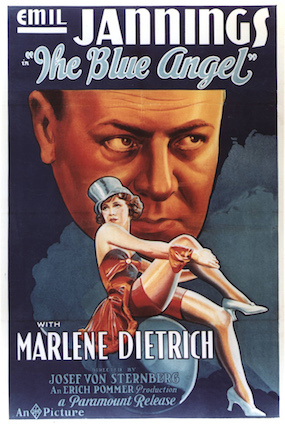 13/03/2019 The Blue Angel Drama/musical, Germany 104 min B&W 1930, Marlene Dietrich. The Blue Angel is a sleazy bar. A teacher goes there to confront his student and falls in love with a dancer.